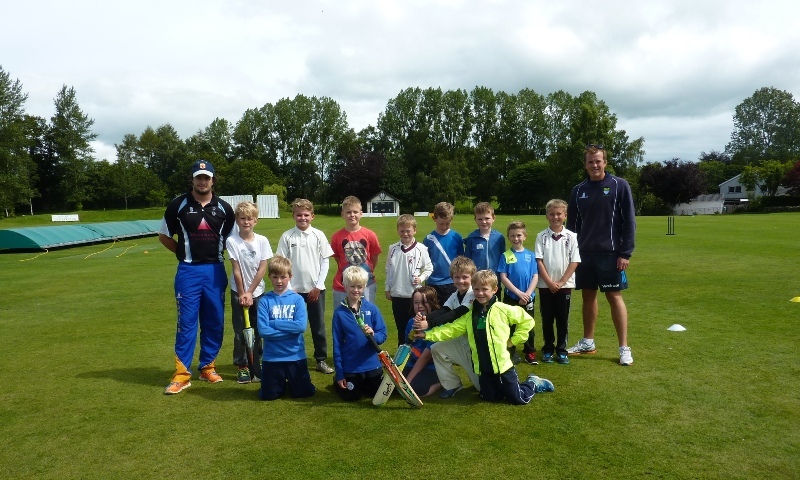 There was plenty of enthusiasm and endeavour shown at the ‪ Cricket Camp at Nunholm last week. Dumfries Cricket Club’s Junior Coaching takes place at Dumfries Sports Club on Mondays during the season, 6:15-8, for boys and girls, P4 to S1. Beginners are welcome. or see www.dumfriescricketclub.co.uk, Facebook(/dumfriescricketclub), or Twitter(@dumfriescricket).